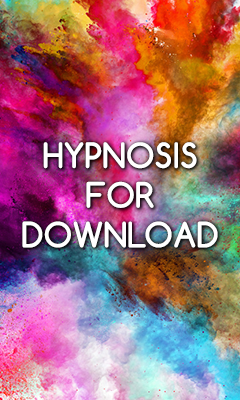 It has been busy since I last wrote here on my personal hypnosis website blog. Boy has it ever. I have just about recovered from my calf and thigh strains that I got at our annual Summer party. Over at my college website, I wrote all about our final diploma weekend for the current group, the amazing “tripnosis” experiential lecture, and our Summer party, with a bunch of pictures and so on, here have a read all about it: The 2016/2017 Academic Year Has Ended! You may have seen me (just once or twice) make commentary upon the state of the field of frontline hypnotherapy training as well as voicing my belief in the need for advanced hypnotherapy training, so I’m walking the walk and not just whining and I’ve added some new dates to run our advanced hypnotherapy diploma next year, and I put together one wonderfully amazing early bird offer for anyone who interested, have a read all about it here: Our Classroom Based Advanced Hypnotherapy Diploma Returns in 2018. Then I’ve also added new new dates for our Rapid Inductions and Science of Self-Hypnosis one day seminars. Not only that, as I have alluded to on social media, I shall be presenting my research at the Royal Society of Medicine later this year and as they only permit the teaching of hypnosis to medical professionals, I have decided to present the same lecture to the public for (virtually) free later this year also, read all about that here: The Latest Self-Hypnosis Science, Research & Tuition: What We Are Now Offering. The event itself is actually detailed here on my hub and you can either book a spot on this page, or send me an email to book in: Science of Self-Hypnosis Literature Review Lecture. Finally, is it really time for me to start thinking about this? Yes indeed, now that the dust is settling following our Christmas Party, our Christmas party is scheduled, in the diary and publicly announced! Here is the event page for you to have a look at and book yourself in if you want to: Hypno Christmas Party 2017. Ok, so that’s what’s been going on this week, there’ll be some fresh new content here on the blog very soon too, keep your eyes peeled! The article is cool and interesting. Thank you Kunal – I like my articles to match my own personality.